I hope everyone has settled into their new routines now the new season is underway, there have been many positives already and a lot of work is going on behind the scenes to help the club continue its recent progression so a big well done to everyone involved in this. Congratulations to all the swimmers who took part in the sponsored swim on Sunday 30th September at Bishopsgate School 6.00-7.30pm. Swimmers rose to the challenge of swimming a team relay 25m X 100 in under their target time of 30 minutes. Swimmers actually completed the swim in 26 minutes 40 seconds so well done to everyone who took part! There has been an amendment to the Middlesex County Qualification times which are attached to this news letter, the “Youth” times are now long course times so 50m pool times. 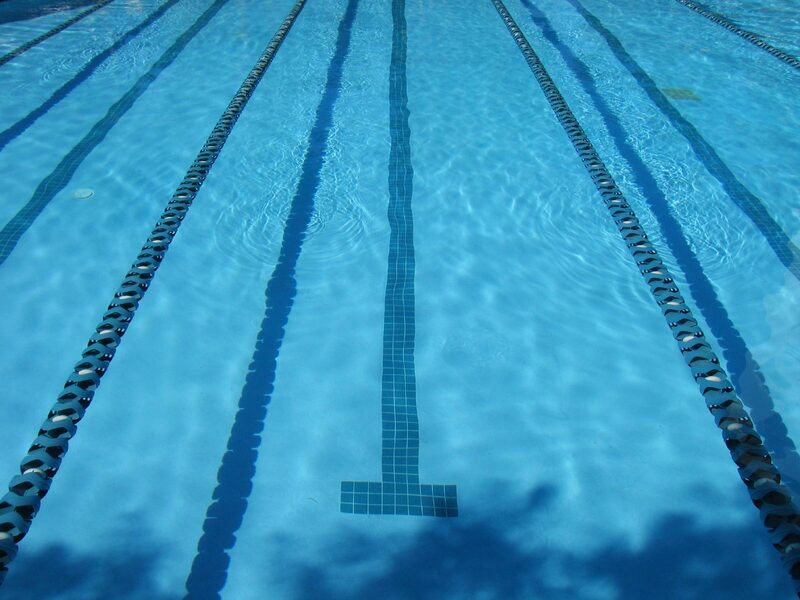 Short Course (25m pool times) can be converted using the “pull buoy time conversion” website. This will affect some swimmers who may have thought times were short course as we all did. I can now also confirm the Youth/Open Championships will be held at the LAC (London Aquatic Centre). Well done to everyone who took part in the Rushmoor Level 2 and Level 3 Meets in September and at the start of this month. Over 85% of swims were personal best times so well done swimmers! Please make sure you sign up to meets the online entry system is open for all these and it’s swimmers last opportunity to qualify for County Swimming Championships in January and February 2019. All open meet dates are available to view on the club website so please pencil in your diaries for the second and third training cycles. The Christmas Splash and Dash will take place at Spelthorne Leisure Centre on Saturday 15th December. This gala is open to all swimmers in the following lessons/squads; Black Hats, Advanced Teaching, Development and Junior County. Events are 25m and 50m on all strokes, entry is online via the club website and the closing date is 22nd NOVEMBER. Awards will be given to the top three swimmers in each age group in each event and all swimmers taking part will receive a Christmas Treat! Just a note to all that the Half Term Crash Course swimming lessons at the Cygnet Pool are now full and we can’t take any further bookings. The next Crash Course will be in the February Half term and advertised shortly. We are now running one to one lessons at The Cygnet Pool so if you can't make the crash course and want to top up tuition this is now possible with individual lessons. Please visit the page on our website under swim school or contact Swim School Manager Louise at coachlouise@stainesswimming.org for further information. Congratulations to Performance Squads Ross Philp (16) who has represented the club with great distinction swimming for Middlesex County in division 1 of the National Team Championships. 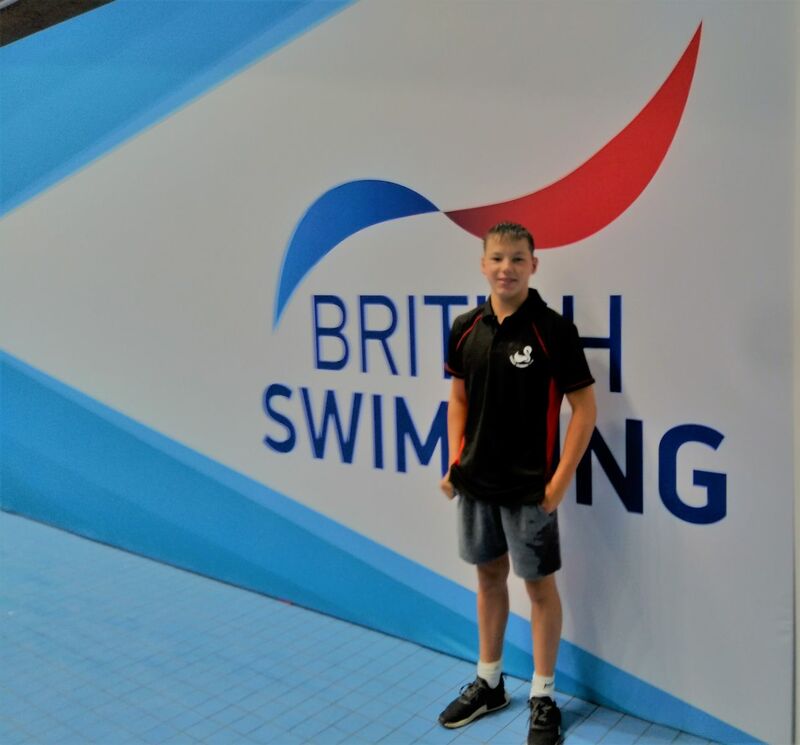 Ross secured a great personal best in the 100m Backstroke swimming 58.49 to help the team to a 7th place finish out of the 34 competing counties in the UK. Ross also swam in the 100m BF 59.42 and 50m butterfly in the medley relay. Congratulations to Oliver and Dillon Webb who secured four Gold Medals each in the Richmond Borough Championships in the 14 and 11 year age groups. 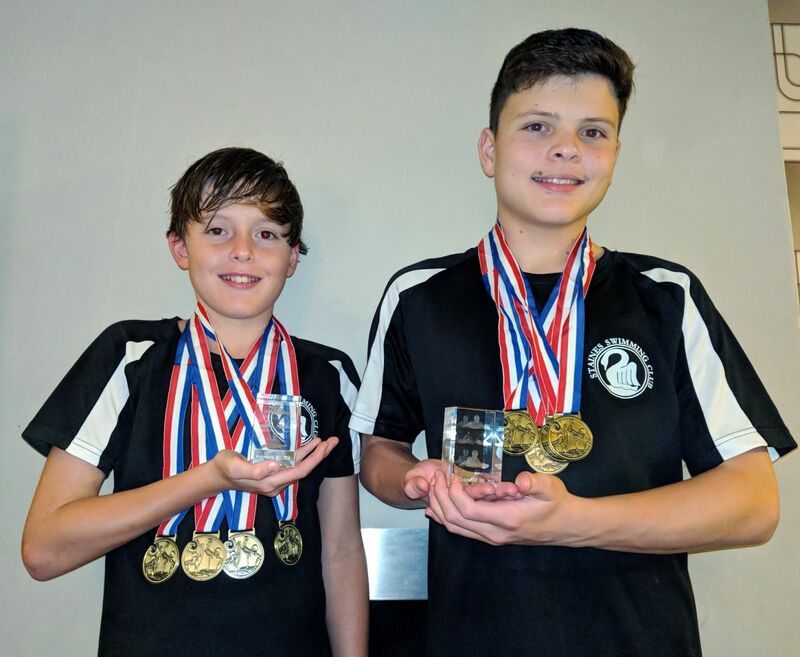 Oliver and Dillon secured seven personal best times between them and have opened up the potential for Staines Swimming Club to send a team next year. Well done boys! A big thank you and well done to 10 eager parents who started their official judge 1 training in October. This will be concluded over the coming months and really helps the club when hosting and entering licensed meets. If any parents are able to help or volunteer to aid the clubs progression please feel free to get in touch to discuss further. Also a big well done to club Chairman Chris Gadd who is now a qualified assessor for UKAD (UK anti-doping), Head Coach Chris White who is a qualifed "clean coach" with UKAD and Jo Kent and Sarb Johal who have just qualifed as level 1 team managers.